Good morning! I changed up the mantel this morning .. It was time to get rid of the bunnies and carrots..so chickens have taken over ...along with a cat ..that thinks he should be in all the pictures . 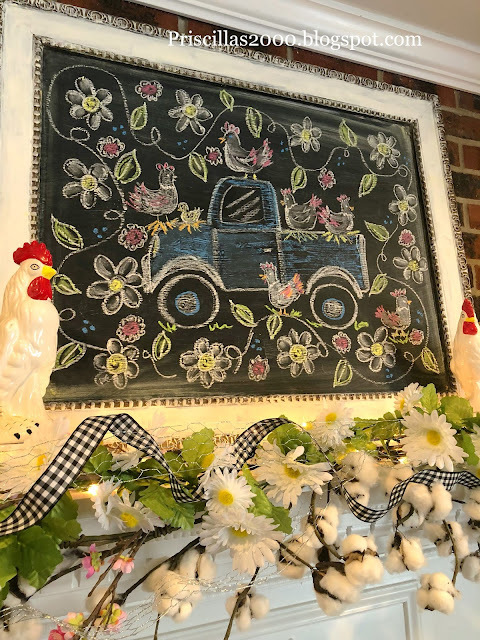 And we all know that that's Ronnie's job :) he even has the head tilt going .. Must be studying Ronnie's pictures ..
anyway ..I loaded up the truck with a bunch of Chelsea's chickens ...wrapped it in a daisy garland ..and a new chalkboard is up! 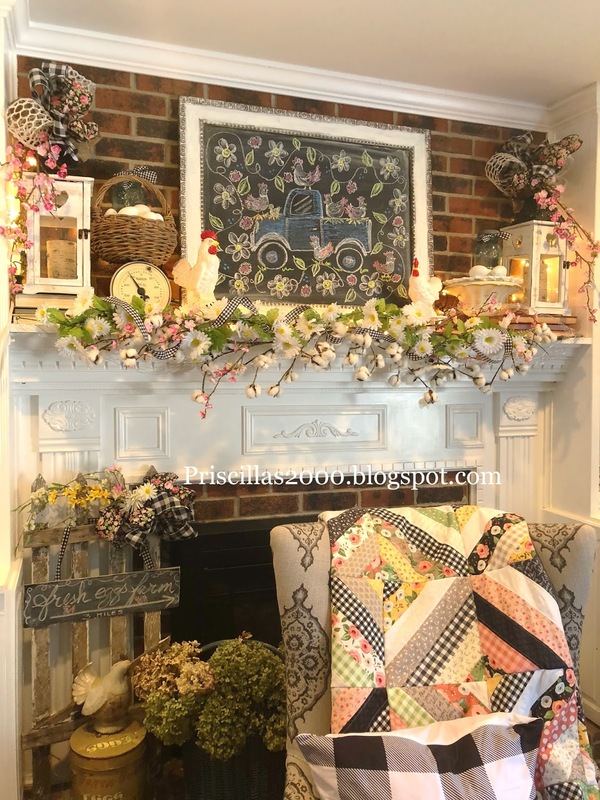 I added some black floral ribbon to the lanterns...some black gingham ribbon to the chicken wire, daisies and pink blossoms garlands..blue mason jars , a basket of eggs and some vintage chickens were also added ..
a little chalkboard hanging from the vintage fence piece .. and thanks so much for stopping by! 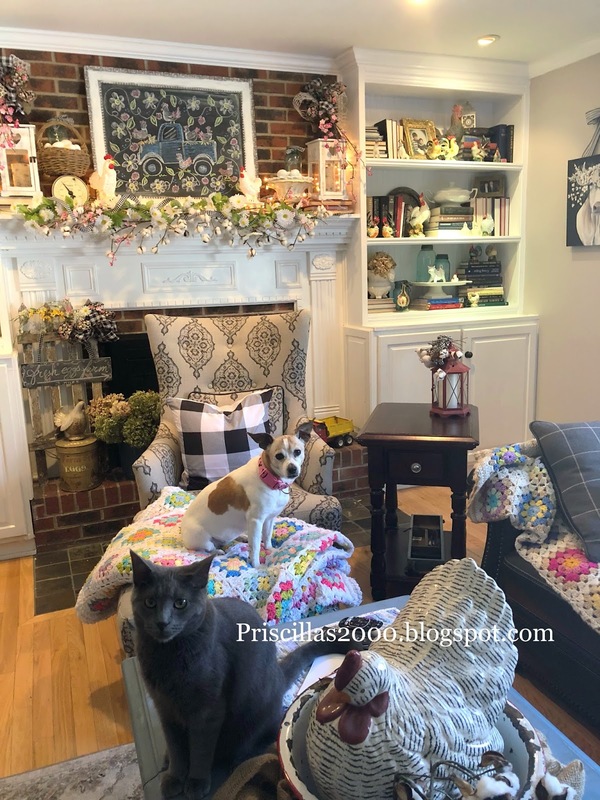 That's gorgeous Priscilla, your home is beautiful. As for the meanest cat in America, he's pretty handsome too. 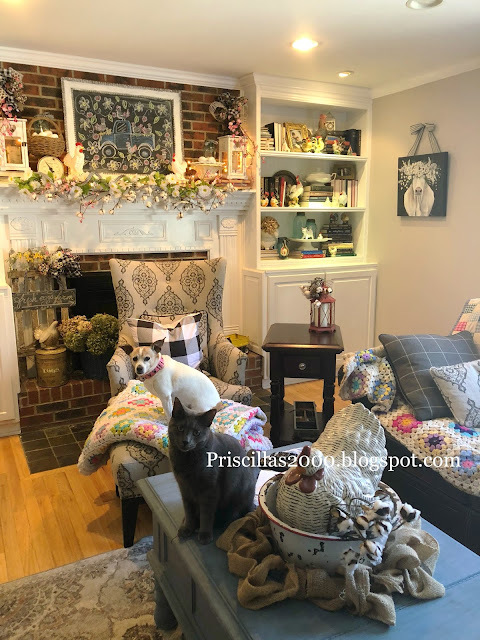 Love your mantel re-do! It looks beautiful & springy!! your mantel is Beautiful. Love the new chalk board. Calvin really does like you! 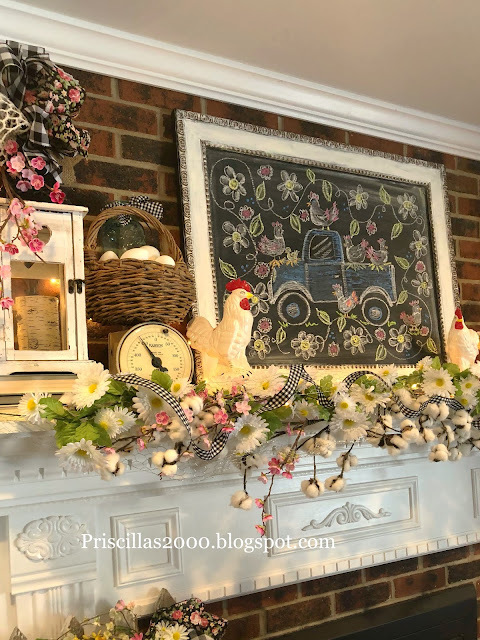 A pretty Spring mantel, love the daisy and cotton garlands. Ronnie knows who is the top dog in the house:). Your artwork is adorable, do you paint? 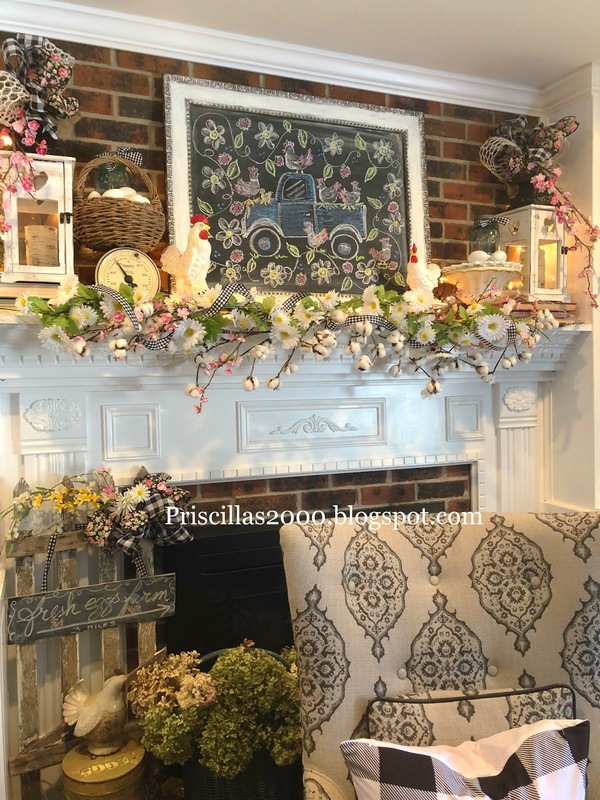 That mantel looks terrific. The chalk design is really wonderful. This is such a nice post, I am glad to see this. Do you want to see your website or blog on Google's first page ??? And want to beat your website or blog ranking ?? Your website and blog will be displayed on the first page of Google through the SEO service, completely and beautifully. Get more visitors and earn money. Click this for more details :""SEO services provider""